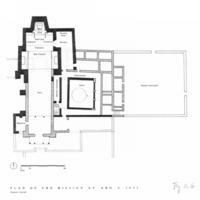 This is a plan of the monastery of San Gregorio at Abó, New Mexico. The complex was built of local materials, stone and adobe, its thick walls punctuated by high windows. 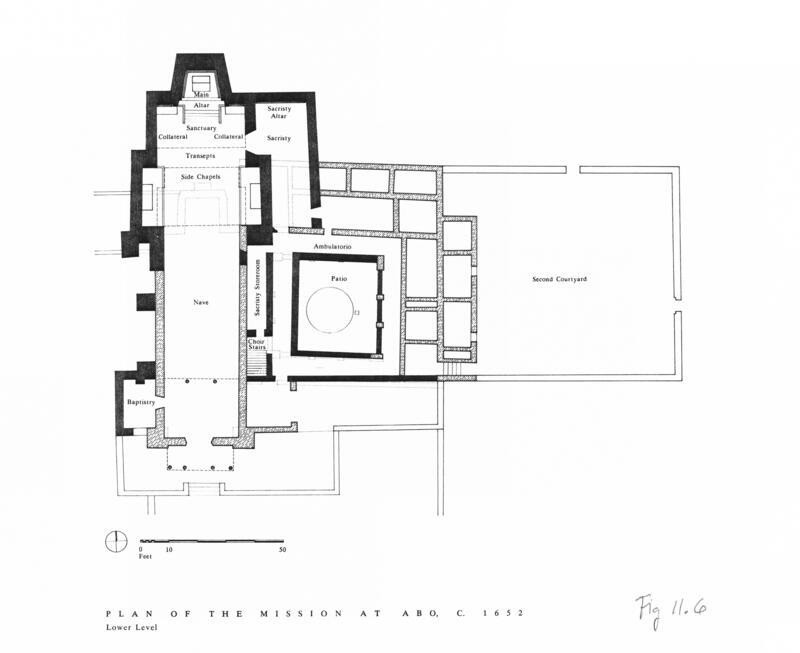 This plan of the monastic complex was drawn after excavations carried out by archaeologists in the 1980s. The church was a simple, single nave structure. The prominent circle represents the subterranean kiva structure, which was built into the center of the cloister’s courtyard. In the photograph of San Gregorio that can be found in Vistas, the viewer sees the complex from a point in the upper right of the plan, from a corner of the cloister courtyard, looking to the northwest, toward the ruins of the apse.